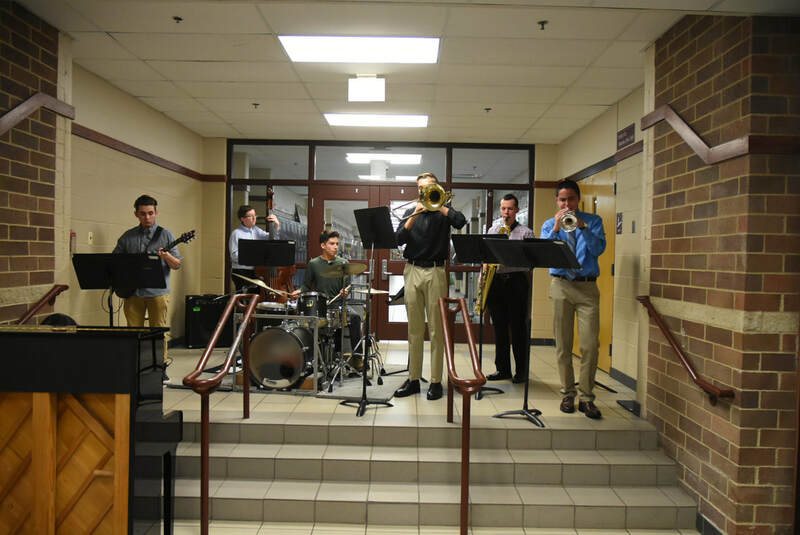 The OHS Jazz program seeks to educate students in the America's true original music, jazz. We have three jazz ensembles this year, OHS Jazz Ensemble 1, and Blue and Orange Jazz 2's. Rehearsals for these groups are twice per week. The jazz program has been honored many times in recent years, including winning the 2012 OrlandoFest in Florida, all three jazz bands getting Superior ratings at the NorthShore JazzFest, and the top jazz band performing at the 2013 Illinois Music Educator's All-State Conference, one of five high school bands selected. We welcome many guest artists, sectional coaches, and clinicians each year, and enjoy being a vital part of a well-rounded music curriculum. See the pop-up tabs under Jazz Ensembles for more information.